George Schaller is recognized by many as the world's preeminent primatologist. In 1959, he set off to live among the Mountain Gorillas of the Virunga Volcanoes in Eastern Africa. He was the first primatologist to study mountain gorillas in the field, and along with Dian Fossey, was instrumental in showing the world the peaceful and intelligent nature of these giant primates. Dr. Schaller is one of the few professional scientists brave enough to state that the evidence for the existence of sasquatches should be looked at more closely. He is a skeptic himself, but clearly thinks that the scientific community is dropping the ball on this mystery by writing off the data before examining it (a decidedly unscientific position). I totally agree. There have been so many sightings. Many can be explained and some are hoaxes, but some of the evidence found can't be explained. I think that evidence should not be dismissed so quickly. I believe BF exist and is cleaver enough to elude us crazy humans. 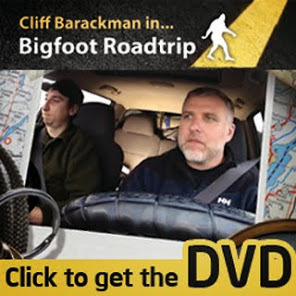 I love the Squatch and it scares me to think what will happen to the species when they are finally recognized by science. More information about them and their secrets of existence and elusiveness may prove to be used against them by trophy hunters/poachers/genetic engineers etc. We have many other endangered species that are hunted for their horns, oils, pelts, organs, experiments etc. Knowledge of old is lost and history tends to repeat itself......just sayin'..